Read a Kanin Prequel Novelette For Free!!! Set five years before the events in the Kanin Chronicles, Bryn Aven is struggling to find her place in the secret kingdom of the Kanin—a realm as beautiful as it is treacherous. Born of mixed heritage, fourteen-year-old Bryn has never felt like she completely belonged. Now, with the summer sun thawing the frozen province, the yearly King’s Games are about to begin, and an opportunity has arisen to squire for the popular guard, Konstantin Black. Now Bryn can prove herself and earn the respect she craves. With her best friend Tilda by her side, Bryn is more determined than ever to show the Kanin kingdom what she’s made of. What’s a “novelette?” It just refers to the length of the story. It’s longer than a short story, but shorter than a novel or a novella. Will I be spoiled if I haven’t read any or only some of the Kanin Chronicles? No. Since it’s a prequel, there are no spoils for the Kanin Chronicles, or even for the Trylle series for that matter. Where’s Ember? The story takes place in June of 2009, and Ember doesn’t move to the Kanin capital until February 2010 (after the events at the end of Ascend). So she’s just not there yet, but she will be. Where’s Ridley? He’s only just retired from tracking, so he’s not able to participate in the King’s Games, and he hasn’t yet taken over the Rektor position. So he’s relaxing on the side. Will this ever be available in print? Right now, I’m going to say no, it will not. But the upside is that it’s for FREE at Wattpad, and you can read it now. You can also check out the Pinterest inspiration board I made for “The King’s Games.” It was fun, because I got to pick more summery images, and that was a nice change of pace after the snowy scenery of the rest the Kanin Chronicles. (Well, more Frostfire and Ice Kissed, because Crystal Kingdom definitely has changes in scenery). 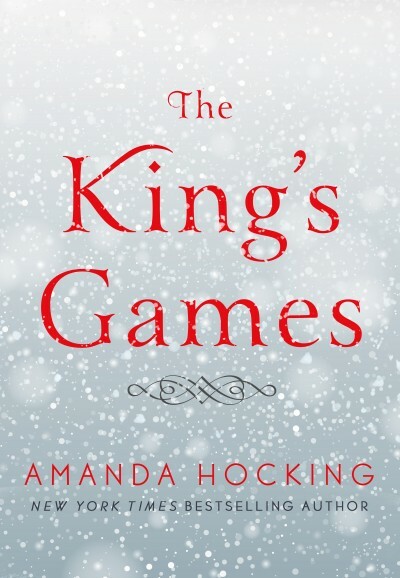 Follow Amanda Hocking’s board The King’s Games on Pinterest. is it possible you’ll publish it on the nook like some of your other novellas? oh jesus I’m blind. Nevermind. Wait, I’m not. Up on the description it says no to print. What about e-books like some of your other novellas? are you going to writing another story take off from the Trylle Trilogy and the Kanin Chronicles… something with the Skojare tribes? Love the sound track! And I will definitely check out “The King’s Games.” thanks!